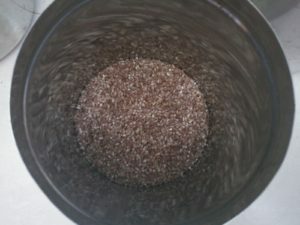 Wash and soak women’s rice for 8 hours minimum. Grind the rice along with grated coconut and poha to form smooth paste. The consistency of the paste should be slightly thinner than normal dosa batter. Keep the batter covered for fermentation for minimum 8 hours. 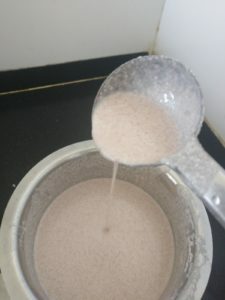 Now, check the consistency of the batter to be a bit more thinner than normal dosa batter, add water if required. Now add 1-2 tsp salt and 1/2 tsp sugar and mix the batter well. 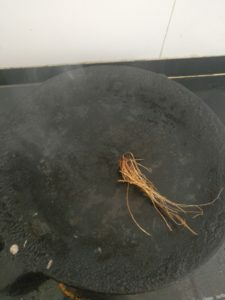 Now smear dosa tawa (preferably iron tawa, avoid non stick and induction tawas) with coconut oil using coconut fiber. 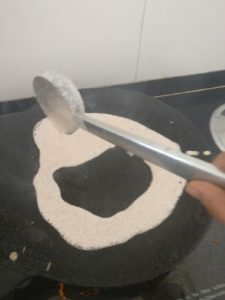 Heat the tawa for 2 mins, now pour dosa batter starting from outer circle and ending with inner circle and spread it with laddle to make circle. 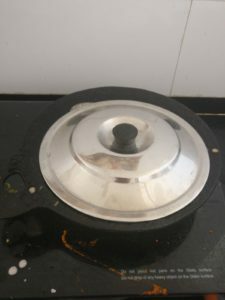 Pour coconut oil little by little on the sides of dosa to complete the round and cover. 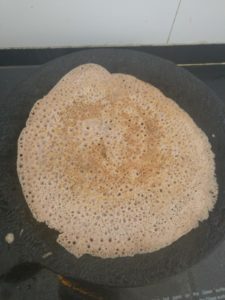 Once the dosa is cooked, flip the other side and cover. Remove from tawa and serve hot with a dollop of desi cow ghee or fresh butter and coriander-mint chutney. 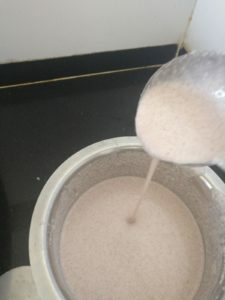 Poongar Rice can be substituted with any traditional rice like Karuppu kavini/back rice, Mappilai samba etc..
Before pouring dosa batter to make dosa everytime you can grease tawa with coconut oil generously to ensure batter doesn’t stick to it. 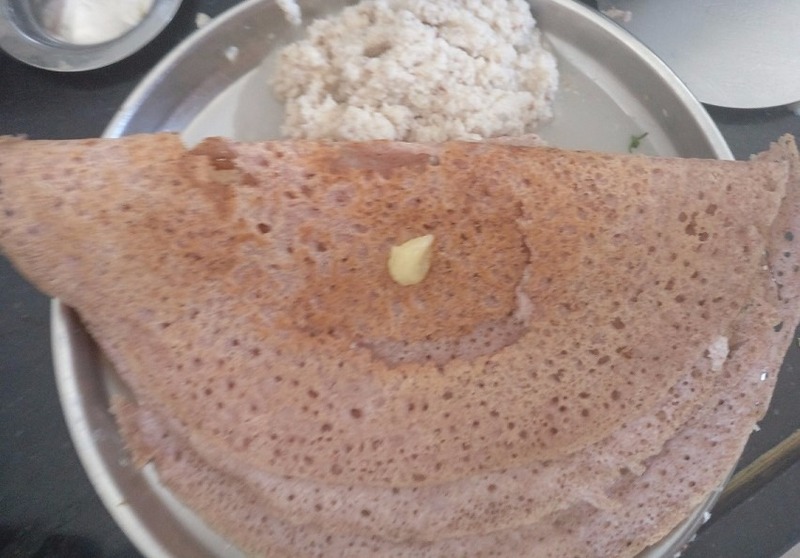 You can skip adding sugar if you don’t like slight sweet taste to dosa. Spread the batter on tawa such that it is neither too thin nor thick.